Want to Be a More Confident Speaker? Polk State Speech and Debate Team member Jeffery James-Potts and coach Christina Gesmundo say the team helps students build confidence that will carry over into all aspects of their lives. Want to travel? Enjoy competition? Looking for a scholarship? Want to make new friends? Interested in learning from academically minded and engaged students? 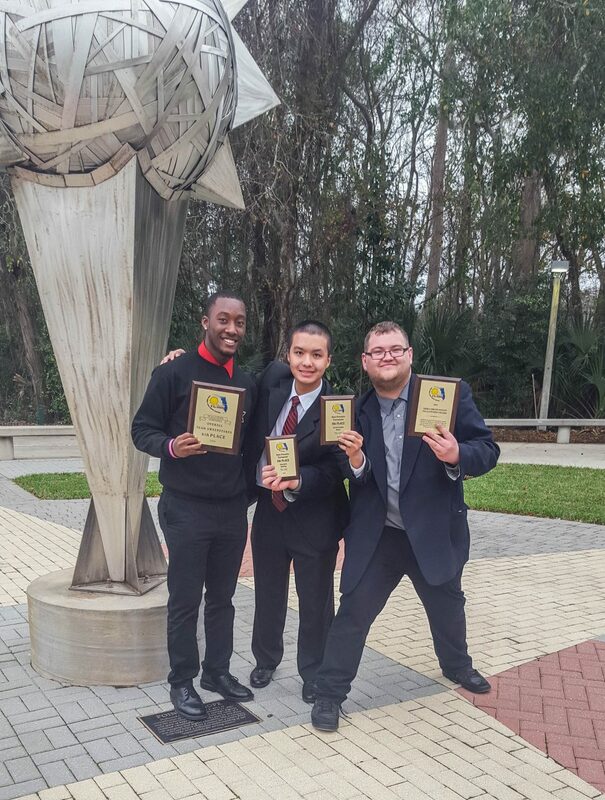 Then the Polk State Speech and Debate team is for you! The team travels state wide competing in multiple styles of debate and in individual events such as Poetry, Informative Speaking and Dramatic Interpretation, to name a few. 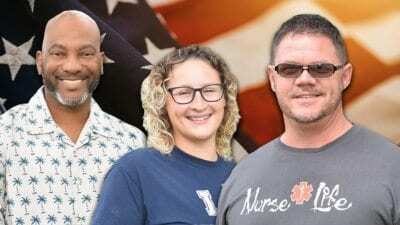 Team members take SPC 2594—also open to any interested student—and receive a tuition waiver for the class. Active team members can also qualify for the new tuition scholarships! The Florida Intercollegiate Forensics Association supports and directs Forensics activities in the state of Florida. Visit their homepage to see the upcoming tournament schedule. Our team is recognized by the Florida College System Activities Association. This state agency accredits and sanctions teams such as Forensics as well as Volleyball and Soccer, among other sports and groups, within the 28 college state system. 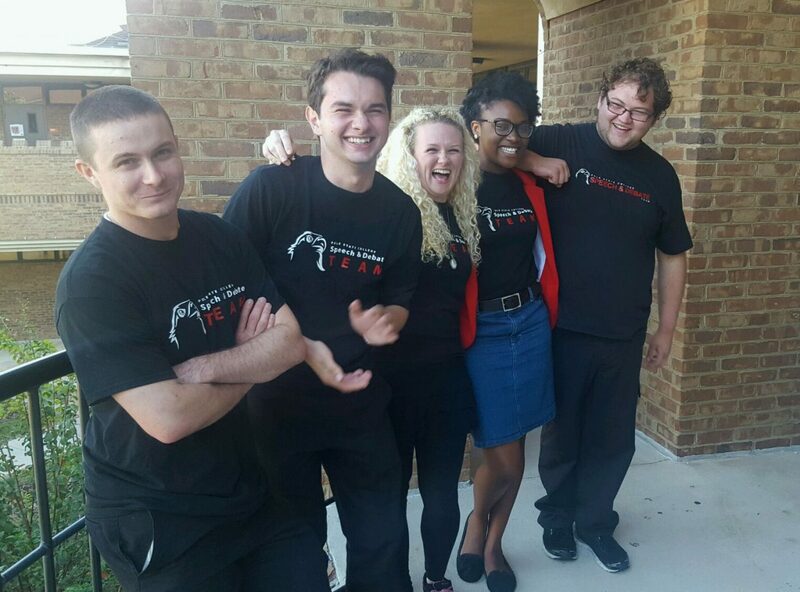 Delta Sigma Rho-Tau Kappa Alpha fosters and supports collegiate Forensics. In 2015, Polk State’s professor and coach Christina Gesmundo was awarded DSR-TKA Coach of the Year.